Mini dental implants are a viable alternative to traditional dentures. Some patients have difficulty with removable dentures for a number of reasons. They may find that their dentures are uncomfortable or painful, or they may cause difficulties with speech. Some patients may have to change their eating habits to accommodate their new dentures, and over time other problems with dental occlusion (bite) may develop if they become loose or ill-fitting. Mini implants offer a feasible option for patients to secure their dentures, alleviating movement which often leads to these issues. 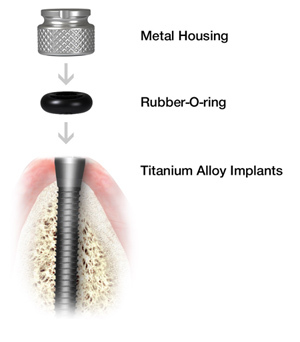 Mini implants are constructed from the same titanium alloys as conventional implants, and are available in varying lengths. 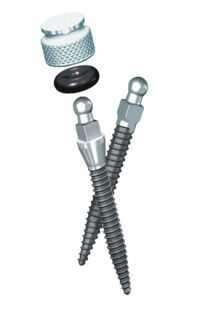 They differ from traditional implants as they have a much smaller diameter – less than 3mm rather than 4-5mm. This means the procedure for insertion of a mini dental implant is much less painful, quicker and less invasive than conventional dental implants. 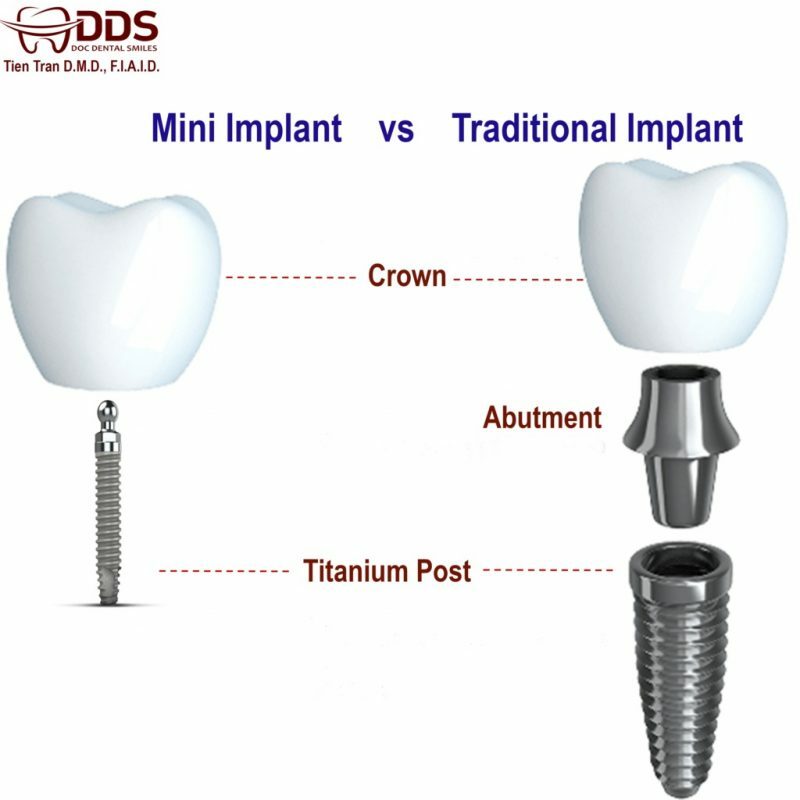 Mini implants, therefore, are a suitable alternative for many patients who are unable to tolerate standard dental implant procedures. • No need for complex flap surgery: Mini-implants have all the advantages of implants in general, but, as their name implies, they are smaller and can be placed without complex flap surgery. • Less invasive procedure with shorter healing time: Mini implants do not require surgery like dentures so the prosthetic tooth can be loaded within hours and the healing process is much faster. Healing time is reduced from months to days. • No need for bone grafts: There’s usually no need for additional costly bone grafts. • Less Discomfort: Less disturbance to bone and tissue means most patients need only over-the-counter pain medication, if any, for a day or so after the procedure. • Convenient: Typically the procedure can be completed in one visit and most of our patients can eat normally the same afternoon. 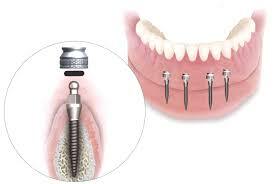 • Comfortable: Unlike dentures, mini implants do not slip or feel awkward. They can be used, however, to realign and improve dentures. • Prevents facial collapse: Since the mini implant is fixed in your jawbone like a tooth root, it prevents facial collapse that can occur with bone loss. • Fewer Complications: Mini dental implant failures and complications are rare and even rarer for Cambridge patients due to the techniques and protocols our team of doctors have refined over many years. 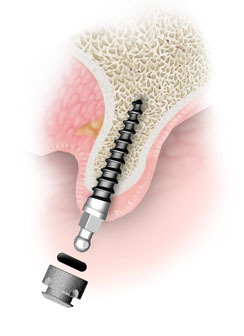 • Affordable: the typical cost of implant treatment has been reduced by about 65% or more. • Vertical bone requirement: Since the mini implants require bones to support them, they cannot be used in an area of the jaw with inadequate vertical bone or if there has been too much bone loss. • Teeth Grinding: You might not be a good candidate for mini dental implants if you grind your teeth regularly as it may wear them down prematurely.